Recently, my dad passed away. He left behind 32 heirs, and owned two houses, plus had filled two garages, a large shed and a storage unit with his possessions. The task of going through his possessions is daunting and has been making me think a lot about my things. A collection of children's books that I loved reading them when they were young. My daughter's Polly Pocket collection. The tupperware I paid a lot for but was too large for leftovers in an empty nest. A watercolor painting my maternal grandfather brought back from France. Why do I have so many pairs of shoes? Do I really need 5 different jackets? Do I really need to keep the art projects from when my kids were in elementary school? After having to pack up three different incomplete sets of dinnerware from just one of my Dad's homes, I think I need to make a change. It's important to hold onto the past, but it's also important to let go. I'm going to try to only keep the things that I love or that bring me joy and that I use regularly. Do you have something you hold onto because you felt obligated? Melinda Curtis is an award-winning, USA Today bestseller. 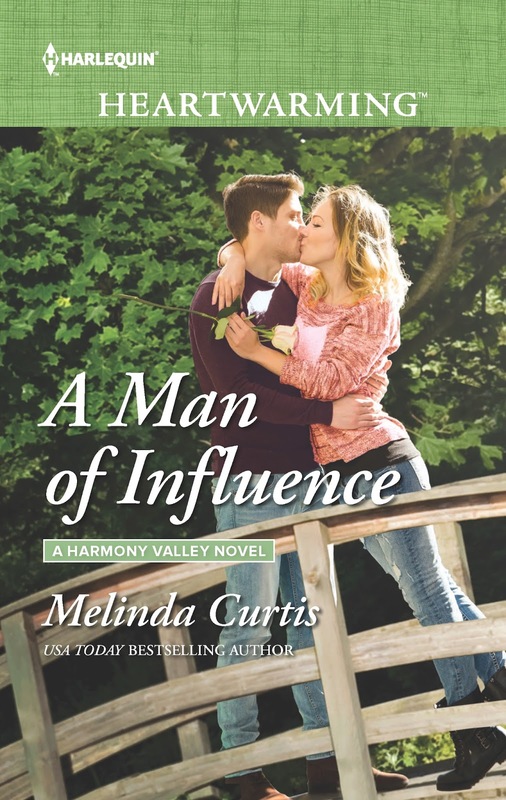 Her most recent release is A Man of Influence, a book in her Harmony Valley series. We went through this when Mom had to leave her home and move to a memory care unit. But only one house, and a small house at that. I wish she'd made decisions about what was important to her while she could, and the old family treasures - I wish she'd shared them while she was able. I think some people can't bring themselves to dispose of their stuff, some can't envision their own departure, and some just run out of time. We've gone through this with both sets of parents. I know ever time we have moved I've gotten rid of stuff. This last time I finally discarded my wedding dress. It was yellowed despite the careful packaging. I threw away a mountain of printed manuscripts from the days when all the editing was done on hard copies. I know there are still a lot of things to get rid of. Mostly I just don't want to take the time to do it. So sorry for your loss. I still have several boxes in my garage of my late Dad's possessions to sort and need to get to it. So, so sorry for your loss. Clearing the clutter from our lives can be so daunting - yet, as Magdalena said, freeing. Keeping you in my thoughts.